“This book guides you in the journey of 3D modeling from the theory with elegant mathematics to applications with beautiful 3D model pictures. Written in a simple, straightforward, and concise manner, readers will learn the state of the art of 3D reconstruction and modeling.” ―Professor Takeo Kanade, Carnegie Mellon University The computer vision and graphics communities use different terminologies for the same ideas. This book provides a translation, enabling graphics researchers to apply vision concepts, and vice-versa, independence of chapters allows readers to directly jump into a specific chapter of interest, compared to other texts, gives more succinct treatment overall, and focuses primarily on vision geometry. 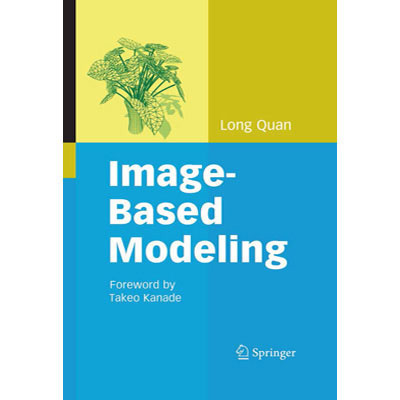 Image-Based Modeling is for graduate students, researchers, and engineers working in the areas of computer vision, computer graphics, image processing, robotics, virtual reality, and photogrammetry.